Depression – The Silent Killer! It was one of those days where the subject of my article was dictated by circumstances beyond my control. A great actor and comedy giant, Robin Williams was found dead in his home this Monday. Cause of death is suspected to be asphyxiation ( basically denying the body of oxygen which in turn impairs breathing and leads to death). He is suspected to have committed suicide by hanging! The question is; what could have driven a successful 4 time Academy award nominee and one time Academy award winner, 2 time Emmy award winner, 4 time Golden Globe award winner and 2 time Screen Actors Guild Award winner who seemed to have the world at his feet to commit suicide? It is incomprehensible! 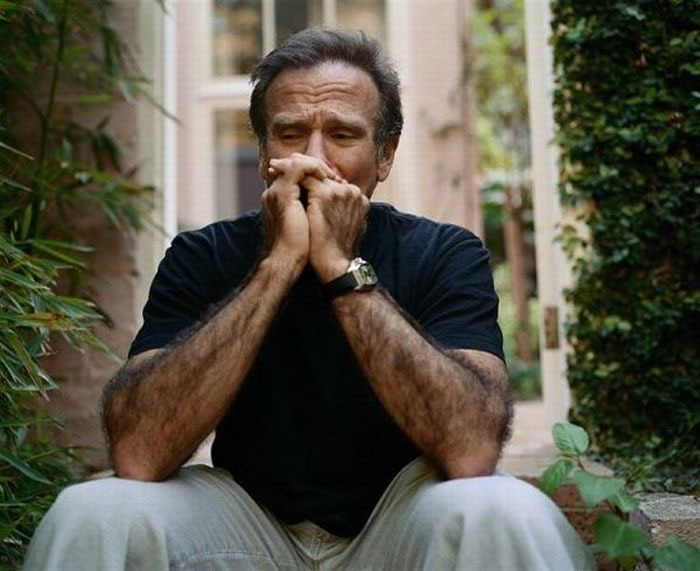 Robin Williams, aged 63, established a successful career in both stand-up comedy and feature film acting. Many of us grew up enjoying his role as the voice of Genie of the Aladdin fame in 1992 and Mrs Doubtfire (my personal favorite) in 1993 among many other fantastic films in his body of work. It is also ironic that he appeared in the video “Don’t worry, Be happy” by Bobby Mcferin. For someone who brought smiles and laughter to the face of many, It is such a tragedy that Mr Williams should die the way he did. It is now obvious that he was an unhappy man whose unhappiness led to depression. The truth is that there is always more to people than meets the eye. The fact that a person is always smiling doesn’t necessarily translate to them being happy on the inside. Sometimes the most bubbly people are the saddest, their exuberant mien a facade. Robin Williams battled alcoholism and cocaine addiction at times in his life and never really shied away from talking about his battles. He was also married thrice in his lifetime. We may never really know what exactly led to him deciding to take his own life but one thing is sure; He had his demons. This is not the first time this is happening, celebrities who many view as “living the dream life” stun us all from time to time when they decide to end it all one day because they are suffering from depression. These are people who many of us envy and would give an arm and leg to be in their “idyllic” shoes. Not all that glitters is gold friends! If people in the developed world where they have all the basic social amenities, treatment and rehabilitation centers for addiction and clinical depression appear to still struggle with this psychiatric disorder, what then is the hope of the common man in a third world country who has more than enough reasons to be depressed? Sometimes I get depressed when things are not going well and it affects my general outlook to life, so I have faint idea of what people who are chronically depressed must be going through. Clinical depression (which is a prolonged feeling of sadness, fatigue,worthlessness and loss of pleasure or interest) can however lead to suicidal tendencies, which is why it is important that it is treated. In the developing world, we don’t have adequate healthcare for clinical depression which is why I think it is important to explore the option of talking to a confidant, mentor or counselor who is in a position to keep our spirits up whenever those negative feelings start to creep in. As individuals and members of a larger society, let’s pay closer attention to family and friends. Be kind with your words (this goes particularly to the cyber bullies) because everyone is fighting a battle however small and you never really know how sensitive a person may find certain jokes. Our words are powerful and should build up and not tear down. Encourage others. Be a good friend. Learn to be grateful. Sometimes what you are depressed about is someone else’s prayer. A constant attitude of gratitude is the antidote to keeping depression at bay. Nice article. On point. Well said. I pray the family & fans of the demised enjoy comfort from God. I enjoyed his movies too. I like the part where you talked about saying something encouraging to someone daily, we really have no idea how much our words can heal or wound. Thanks Babatunde. Nice write-up Lolo. Let us all try to open up when feeling sad or depressed. It helps lighten the burden in our hearts especially when confiding in reasonable people. That’s y we should choose our friends and confidant wisely. Once in a while, we all need soothing words to encourage us, to bring back our zeal to succeed and keep aiming high. In Nigeria, there are a lot of things that could lead some1 to depression. From stress @ work especially when an office is filled with Sadists as bosses and eye service collegues waiting for one’s downfall , to facilities not working well, to a home that lacks peace, bad news daily aired thru our electronic and print media and our environment. May God help us all and grant us happiness. Amen. Honestly, the situation of things in the country generally is enough to get one depressed talkless of personal problems. Amen to your prayer Anwuli. Thank you. Very sad. Indeed, this depicts a popular Nigerian commedian’s motto; “making people laugh is not a laughing matter”. We laughed hard whilst he paid the price via his lifelong struggles with addictions. Why “they” have these personal battles that are hardly reconciliable with their screen and public personalities is something I have not been able to fathom. You have said it all. . Let’s endeavour to remain grateful to the Almighty at all times and be wary of our utterances to others. We never know what internal battle the next man is fighting. May God rest his soul. Amen. This Is a sensitive topic for me cos I have a friend that battles with depression from time to time . Crying, drinking and taking drugs to “ease the pain”, and even thinking and writing about suicide. It’s a slow killer..and It Is difficult to conquer. The genie was/is my favourite character in Alaadin. God help us all . Amen. Thank you Funke. I sincerely hope your friend tries to get some kind of help because depression is a really serious illness. The turning point for me was an understanding of scriptures in 1997. Somehow, being depressed just doesn’t seem to align with Philipians 4:6 – “Rejoice in the Lord always……”, and everytime I’m tempted to be depressed, this comes to mind. The devil’s plan is to destroy lives by whatever means, but believers have what it takes to save lives, both theirs & others. You never know the value you add to someone’s life by showing them God’s word of salvation and grace. Please don’t stand aloof, look out for those around you & be sensitive to the Spirit. Thank you so much for this Efe, it is a timely message.